The Queen siblings may not look or sound the same, but one thing is sure -- they all have some serious daddy issues. Thea probably thinks (and still believes) that she should get a trophy for the award of Queen child with the most complex parental issues, but her long-lost step-sister may have snatched the prize from her. Seems only fitting since she snatched the green hood from her half-brother. 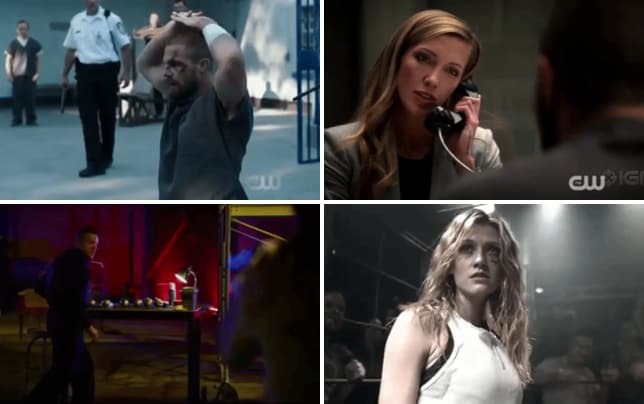 The New Green Arrow was a small plotline in the first half of Arrow Season 7, but on Arrow Season 7 Episode 10, it became a primary focus as we not only confirmed the identity behind the mask, but we got a full-blown introduction into her motives. The way the New Green Arrow story was told previously suggested that the introduction of Emiko Queen would be done slowly, with new information getting dropped every couple of episodes. That is no longer the case. The New Green Arrow went from unknown mystery figure to Emiko Queen, someone we now know very well. Still, it might have been too soon for Arrow to dedicate a lot of time to a character we barely know. Is her story intriguing, and do I want to know more? Absolutely, there's no denying that. But if it weren't for Rene's help guiding her, she would've been too overbearing. Well, shame on us for being so sexist. Our mystery man is actually a woman. Permalink: Well, shame on us for being so sexist. Our mystery man is actually a woman. It has been an issue on Arrow before. Introducing new characters has never been their strong suit. 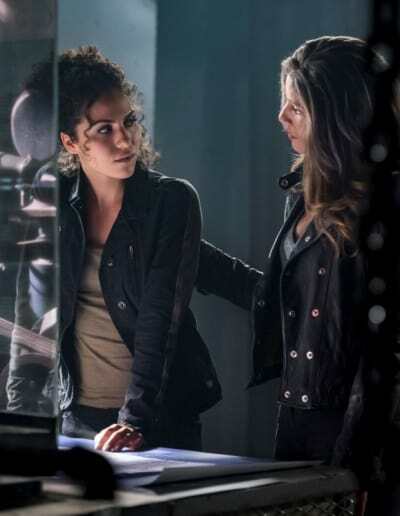 The show relies too heavily on them before Arrow Fanatics get the chance to form a connection. Dinah's introduction on Arrow Season 5 is a standout example. 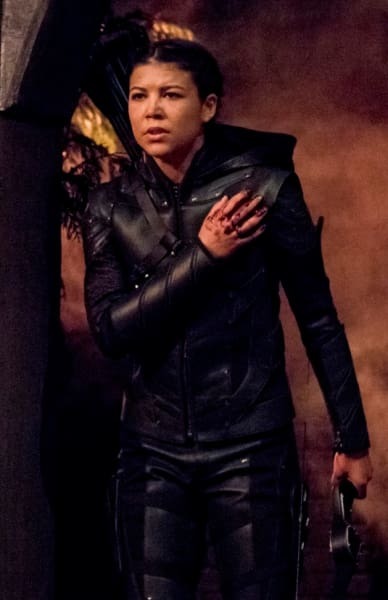 The show threw her into the limelight very quickly, taking away the spotlight from other characters we'd grown to love and to this day Arrow Fanatics still haven't managed connect with her. There's still hope for Emiko and a good chance that won't happen to her. Unlike Dinah, she has a backstory and an obvious connection to the Queen family that'll give Arrow much more to work with moving forward. Emiko's introduction may not have been perfect, but she has already formed relationships that can take her story in many different directions. Her partnership with Rene gives Arrow the vigilante angle it's missing now that Oliver's working with the police. And let's face it, their chemistry is undeniable. The show may not decide to go that route and keep their relationship strictly platonic, which is fine, but come on, Rene deserves some love. The dude's been riding solo for a long time. #GiveReneAChance. People say that revenge corrupts the soul; that if you go down that path you'll never come back. But sometimes embracing the darkness is the only way to get justice. My name is Emiko Queen. I will get justice for my mother and no one will stand in my way. Their mission to avenge Emiko's mother and get justice brings back memories of old Arrow when Oliver's mission was practically the same. The only issue is that it seems as though everyone she was hunting until now was a waste of time. Each person Oliver went after had a purpose, a connection to his father. The fact that Emiko "failed" her mission just as we met doesn't make her look too heroic. It felt like she was making strides as a badass female Green Arrow, but then that badassery crumbled down when it got she was wrong about who killed her mother. It's essential for the show not to make her look like she's in over her head, and she was in over her head/ She should be at the same level, or at least close to the level was during Arrow Season 1. Speaking of Oliver, can we discuss the day he had? The man seriously can't get one day of peace. He's was released from Slabside, reunited with his wife and friends and then boom, found out his father and mother were lying to him for most of his life. In a way, I was heartbroken for Oliver because he already had to deal with learning so much information about his parents in in the past that didn't exactly make them come off as the quality people he thought they were. Hey, you okay? You know, this has to be a shock. Maybe not as big of a shock as becoming The Flash and then fighting alongside Batwoman, but still a shock. This news seemed like the straw that broke the camel's back. Any positive image of his parents he had remaining in his memory was completely wiped away. I have a feeling Robert may not have been as big of a monster as he looked like, though. Maybe he had a valid reason when it came to abandoning Emiko. Was he trying to protect her and her mother? The person who killed Emiko's mom is probably connected to Robert in some way. Oliver's reaction to the sudden news also showed how much he has grown. The old Oliver would've lashed out and done something pretty violent, but this Oliver expressed his sadness to his wife and talked about his feelings. Some heroes don't have to be brooding all the time; an emotional conversation is just as heroic as punching bad guys in the face. It was also a pivotal moment for Oliver and Felicity's relationship. 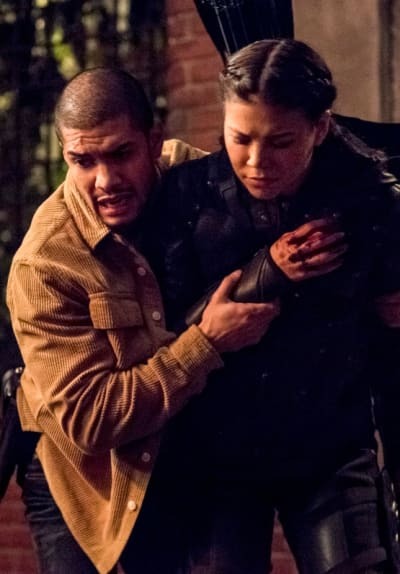 It seemed as though that premature (and quickly brushed aside) break up on Arrow Season 7 Episode 8 was foreshadowing a rough road ahead for the couple, but it turns out the two are in a very good place right now. They managed to work together without bickering, and during a tough time Felicity comforted Oliver and encouraged him to be the man she knew he was. Is it possible that Olicity can stay in this state forever? No probably not, but it's during the simple, pure moments between the two when they talk that exemplify how much they truly do love each other. 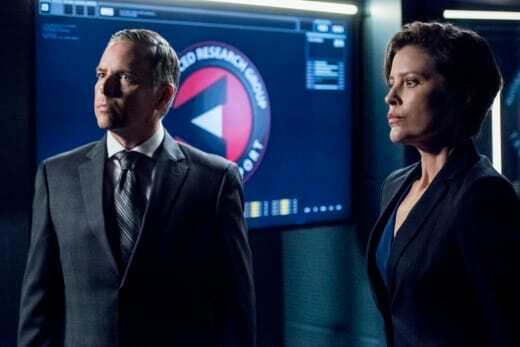 Oliver: I need you to analyze this DNA, it belongs to the New Green Arrow. Felicity: Some husbands bring their wives home flowers, and mine brings me home blood from a crime scene. And they say romance is dead. The Queens may have been the main focus of "My Name is Emiko Queen," but Rene also played a vital role both as Emiko's new partner in the present and as mayor of the Glades in the future. It took me a second to adjust to this new Rene. And while he may not be the type of hero Zoe wants him to be, he may be the person who ends up saving Star City in the future. Also were any other Arrow Fanatics curious about the identity of the man working alongside Rene? 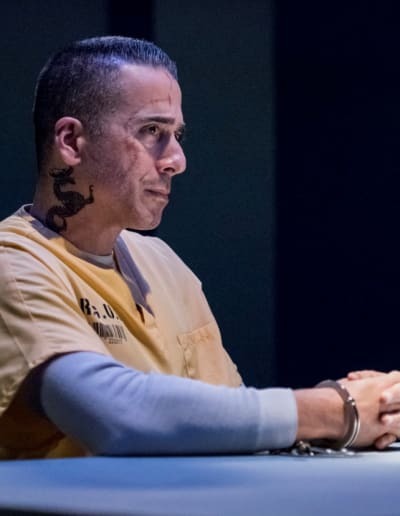 He admitted to being involved in the death of Felicity, but I wonder if he's someone that has played, or will eventually play a role in the present timeline as well. Another tidbit that was slyly dropped by Dinah in the future was that Curtis may not be alive, or at least on Team Arrow's side. When trying to remind Rene that a group of them took a code to fight no matter what, she name-dropped Oliver, Diggle, Felicity, and Roy but not Curtis. It was such a small tease that many might not have clued into and it might not even end up being an issue, but it may also be a huge clue moving forward. While the flashforwards have been a fun puzzle that Arrow Fanatics are desperately trying to solve, Diggle, Lyla and A.R.G.U.S. continue to be a boring puzzle that you can't help but nod off while doing it. Bringing Diaz into the fold didn't add intrigue or excitement to the story they've been telling with Diggle and Lyla. The fact that they are going to copy the plot of "Suicide Squad" also doesn't make it any more interesting. Diaz should've been put to rest for an extended period, so that when he did return it would've been a much more welcome surprise. Instead, his presence is dragging down Arrow, and his involvement with Diggle and Lyla hasn't been promising. 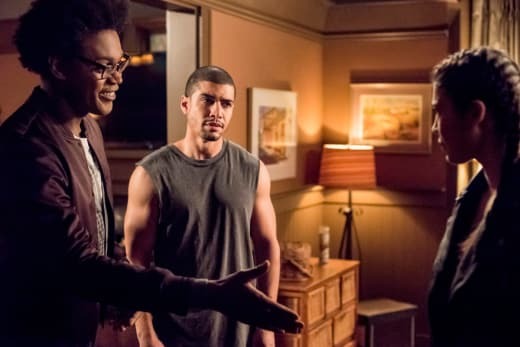 Just like Oliver after Arrow Season 6, Diggle's in desperate need of a reboot for Diggle because everything he's currently involved in is undeniably stale. What did you think of "My Name is Emiko Queen"? How did you feel about the introduction of Emiko Queen? Did you see a romantic spark between Rene and Emiko? What kind of relationship would you like to see Oliver and Emiko have? What do you think happened to Curtis in the future? 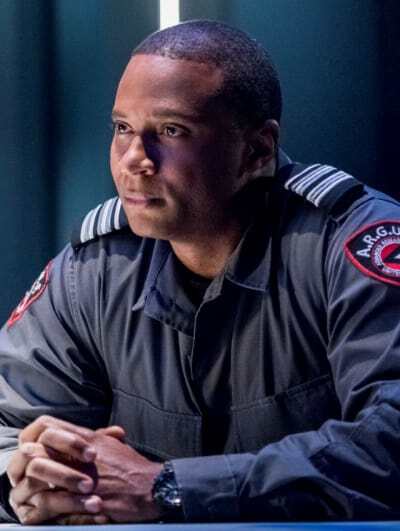 Does Diggle need to be rebooted or retooled? Let us know in the comments below and if you need to catch up, make sure to watch Arrow online right here on TV Fanatic!